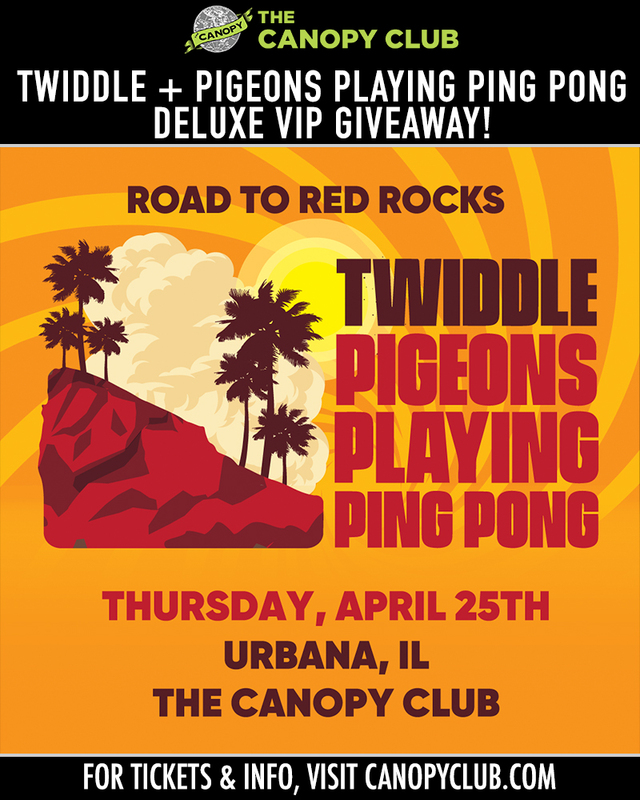 Twiddle + Pigeons Playing Ping Pong are joining forces Thursday, April 25th at The Canopy Club, and they want to hook up 2 LUCKY WINNERS with a Deluxe VIP experience! To enter, simply purchase a GA ticket to the show before Tuesday, April 23rd at 2PM CT and enter your email address in the field below. The winners will be chosen at random on Tuesday, April 23rd at 2PM CT. Good luck! Note: By entering this contest, you agree to be added to The Canopy Club mailing list.